O12 is a polyester film, single coated with a silicone pressure sensitive adhesive. 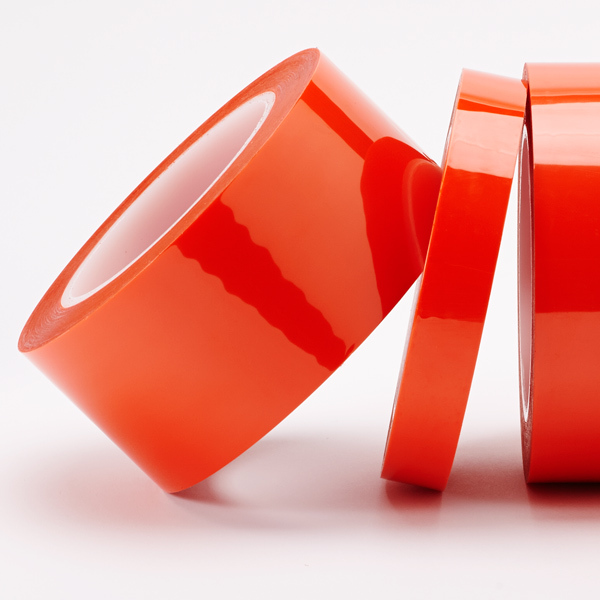 Our O12 Ultra Orange polyester tape is the industry standard for general purpose powder coating applications. It is extremely economical and removes cleanly from surfaces without leaving a residue. O12 is ideal for applications such as taping off large surfaces, general purpose die cutting, large volume runs, and multi-bake applications.